This year’s Miami International Boat Show comes at one of the more optimistic times in the boating business since the economy turned sour in 2008. The industry is buzzing about the prospects for the Feb. 14-18 show, one of the premier events for unveiling new product. 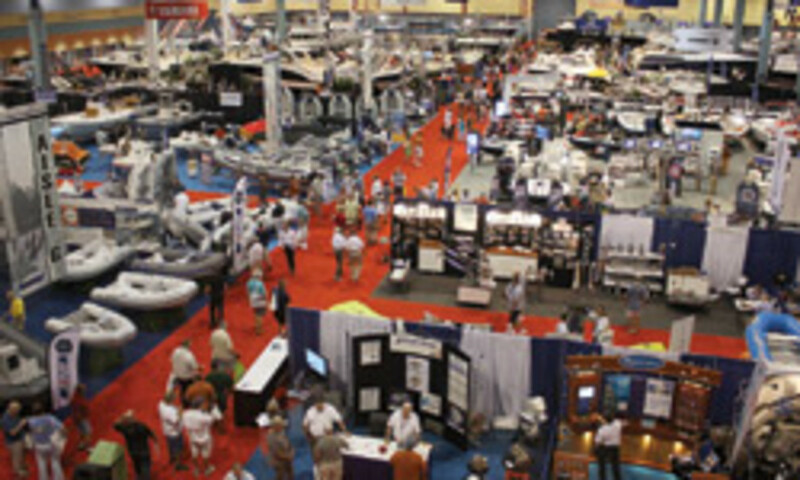 Sponsored by Progressive Insurance, the show draws 100,000 visitors from around the world and generates about $1 billion for the local economy, according to the National Marine Manufacturers Association, which owns and produces the show. “There are probably more boats on display in Miami than any other boat show in the world,” says NMMA president Thom Dammrich. 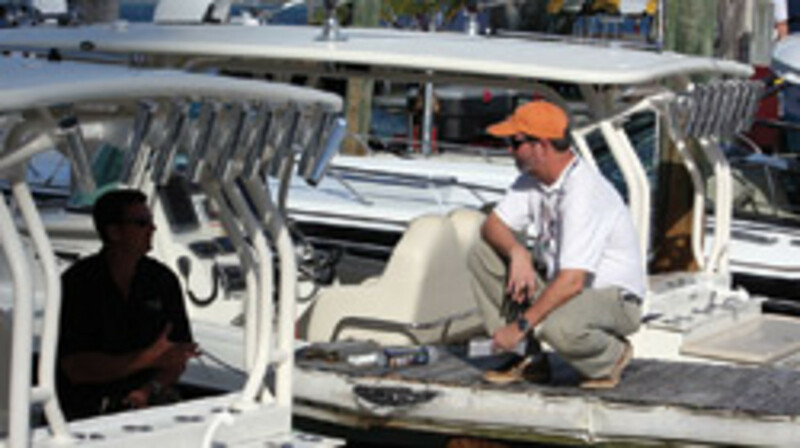 Some 2,000 companies will be showcasing more than 3,000 boats at three locations. And that doesn’t include the Yacht & Brokerage Show in Miami Beach, which is produced and managed by Show Management and runs concurrently with the NMMA show (see story on Page 18). The NMMA attracted national attention with the latest batch of numbers, released at the New York Boat Show, which show boat sales rose 10 percent in the last year. Early NMMA projections are that the industry will be up an additional 5 to 10 percent in 2013. Hunt says several Cobalt dealers will be participating. The models available for test drives include a 296 powered by twin 8.2 Axius sterndrives with SeaCore and a 302 powered by twin Volvo V8-380s with Ocean Series. The Miami show occupies three locations — the largest the Miami Beach Convention Center, covering 2.5 million square feet, Rick-Joule says. “That’s our largest footprint, using all three levels, including the large parking lot — we encompass that, as well,” she says. The New Yacht and Power Show segment of the show is located at Sea Isle Marina and includes hundreds of boats in the water. It’s also the site of several hands-on classes presented by the Recreational Powerboating Association. The Discover Boating Puts You at the Helm program provides on-water powerboating classes, and hourly boating clinics are offered throughout the show, organizers say. 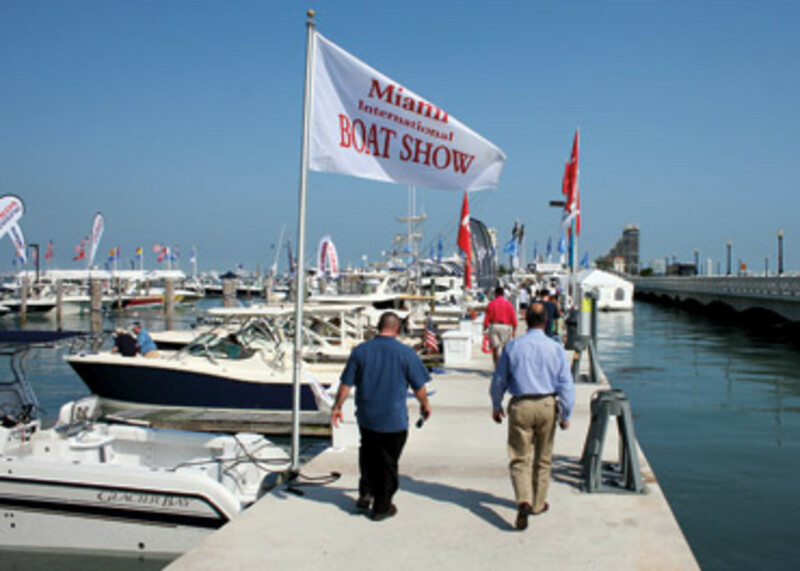 The show’s third location, Miamarina Bayside, is home to Strictly Sail Miami, which features sailboats and sailing accessories, as well as free sailboat rides and live music. The show also is getting an international boost this year through a partnership with the U.S. Department of Commerce. The show was chosen to be part of the department’s International Buyer Program Select, which was created to connect international business-to-business buyers with U.S. companies looking for sales opportunities. U.S. manufacturers that are current NMMA members or exhibiting at the show can register their companies in the database of suppliers to confirm their interest in meeting with buyers. The NMMA is using a software program to efficiently connect the prescreened buyers with preapproved suppliers. “That’s just another way we’re making sure our exhibitors are getting the most bang for their buck,” Rick-Joule says.